Well what have I been up to this week. I've been resting my voice and it's actually back so no more squeaking whoopee!!!! Well maybe a little.... I've had plenty of relaxation time while I've been quiet to make some family birthday cards, October is a busy month - 3 birthdays this week and 2 next week. Why do I always leave it to the last minute? Does anyone else do this? Oh to be organised. 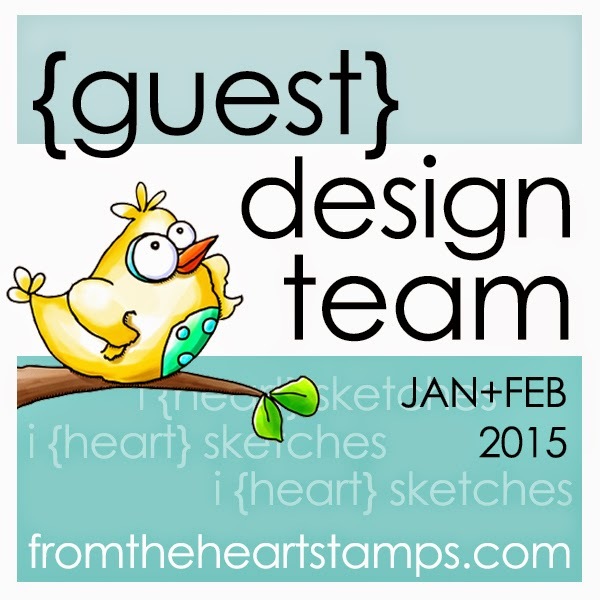 Guess who has got a Guest designer spot with the fabulous girlies over at Nutcrafters for October and November? Yeah little old me - so chuffed. Thank you for having me. So please feel free to pop over and join in with the latest challenge which is Paper Piecing. There is even freebies for you to use. Can't wait to see what you produce. 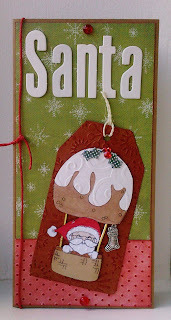 Here's a Christmas card I made today using a new release digital stamp from Nutcrafters. 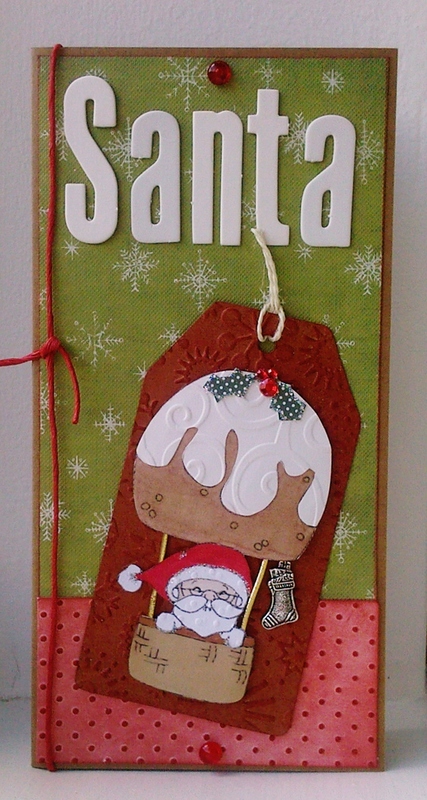 I used one of the new release digital stamps called 'Pudding Santa' and paper pieced part of the pudding and santa then used promarkers, paper from stash , embossing folders, tag, red string, charm, glitter, chipboard letters and dew drops. Been to get my hair done so feel all posh now. New woman well not quite.... Hope you're all okay and having a nice day whatever you're up to. Thank you for all your lovely comments - much appreciated. Congrats on your guest DT! Your card is fab....love the paper piecing.....keep meaning to have a go myself! Congrats on your DT Assignment. Great first card. The image is sweet and love the paper piecing. Thanks for joining us at Holly Jolly this week during our Glitter and Bling Challenge. Pretty - Love your art work. Thank you for joining us at Holly Jolly this week. Great card hunnie, just love the colours & the image is fab! 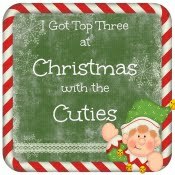 Love the image - fun card! Thank you for joining us this week at Holly Jolly!